Bioland and Demeter farms from South Tyrol deliver high-quality produce for distillation (in small waterbath alembics) into these elegant grappas. 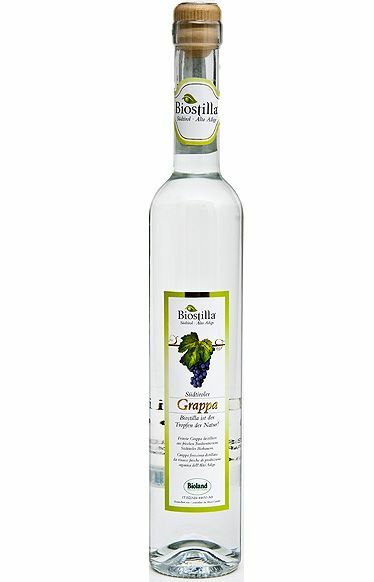 Fruity, with a delicate nutty and almond-like note, the BIOstilla Grappa will please even the most refined palate. With a soft and harmonious finish.